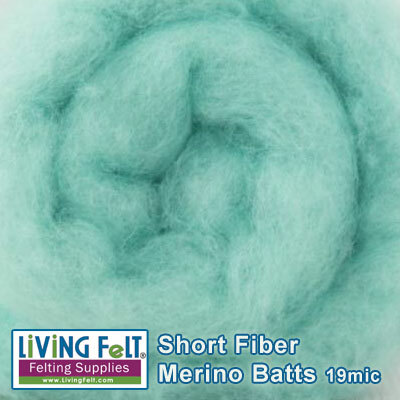 Lovely 19 micron short fiber merino batts, wonderful for your wet felting, and nuno felting projects. Try this for your wet felted beads, jewelry and accessories. Fun to use for wet felting sculptural elements where a very tight finish is desired. Batts will tear in very fine layers, batts are not as "uniform" as our MC-1 Batts, so expect "piecings".